LASIK surgery is a great option for people who suffer form refractive errors. Unfortunately, LASIK isn't right for everyone. That’s when alternatives like implantable contact lenses (ICLs) may be more ideal. 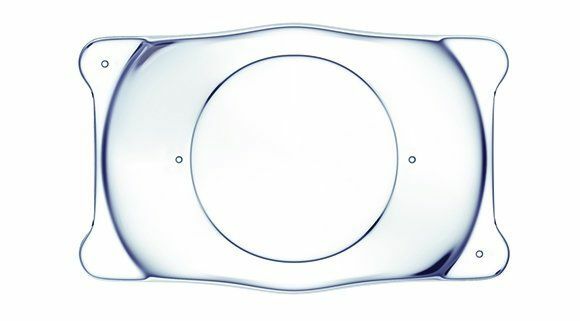 ICLs are contact lenses that are surgically placed to improve a person’s vision. These ICLs function like a traditional contact lens, in that regard, and can be extremely effective. The team at our Shelby Township, MI eye care practice would like to consider the benefits of ICLs. This can help you determine if LASIK or ICLs are more ideal for your needs. As we noted above, ICLs are an excellent alternative to LASIK and other forms of laser eye surgery. If a patient is a poor candidate for LASIK, getting ICLs placed might be a more ideal way to improve their vision. Thin or irregularly shaped cornea are one of the reasons a person may not be eligible for LASIK. With ICLs, the shape of the cornea does not rule out treatment. LASIK works by reshaping the cornea and improving the passage of light through the eyes. ICLs, by contrast, do not alter the cornea at all. This is a less invasive approach to vision enhancement, and with generally less serious surgical risks and complications as a result. Eyesight changes unavoidably as part of the natural aging process. ICLs can change with your eyesight. Old ICLs can be removed and replaced in order to meet your vision needs during different stages of life. In addition, older model ICLs can be replaced with newer and better models, keeping up with the pace of evolving vision technology. Dry eye syndrome is often an issue with LASIK and PRK patients. While the dry eye is manageable with lubricating eye drops, it can be an annoyance. ICL patients do not experience problems with dry eye after their surgery. No irritation, not redness, no discomfort—just better vision. ICL patients recover from their surgery fast. Patients will notice enhanced vision once the 15-minute procedure is completed. Roughly 24 hours after surgery, patients are able to drive a car on their own without the need for glasses. This fast healing time helps you get back to your normal routine without major hassles. Patients who get ICLs experience much better vision quality than they would with their prescription lenses. According to some studies, ICLs have an exceptional 99 percent patient satisfaction rate. Laser vision correction can often alter one’s night vision and contrast sensitivity. People with ICLs experience none of these issues. Driving at night and looking at bright lights causes few if any issues with contrast, glare, or halos. The ICLs create a barrier of UV ray protection for your eyes, which can help prevent cataracts and vision loss later in life. You should still wear sunglasses and a hat with a brim when outside, but ICLs provide additional preventative peace of mind. To learn more about ICLs and whether or not they are ideal for you and your needs, be sure to contact an experience eye care and vision correction specialist. William Goldstein, MD is here to help you achieve better vision and improved wellness.